But the comedian says at a news conference that plans to keep making fun of the president. 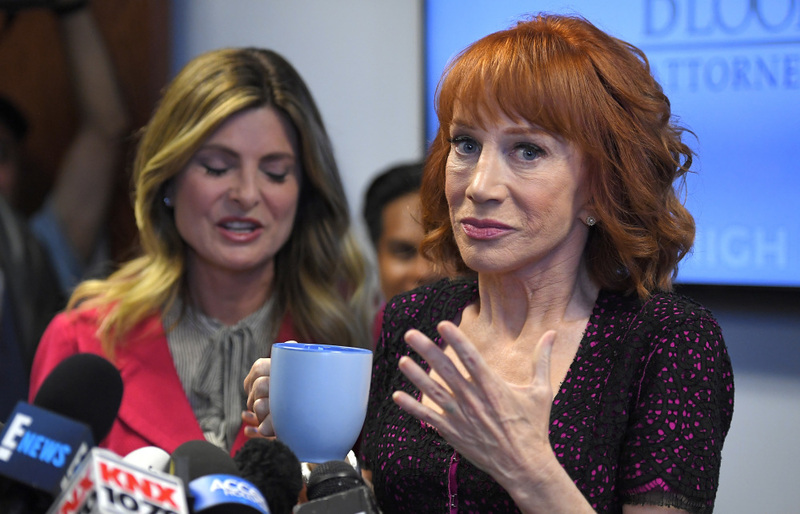 LOS ANGELES — Embattled comedian Kathy Griffin says she’s not afraid of Donald Trump and plans to keep making fun of him but maintained that she’s sorry for a video that depicted her holding a likeness of the president’s severed, bloody head. White House press secretary Sean Spicer said. The California Republican Party later sent out a fundraising email calling Griffin’s photo shoot disrespectful and obscene.